I still haven't read the first book. I'm actually dreading it but I have to read it because this sequel was sent to me by the publishers. It does sound tiresome, to be honest so I might have to hold off a little longer. I agree, the characters grew and changed a lot in this sequel, although not all of them for the better but still I think it was all understandable. I love this series and how different and dark it can be. Its definitely a change from the normal YA fantasy. I'm sorry to hear that this one didn't wow you like you hoped. 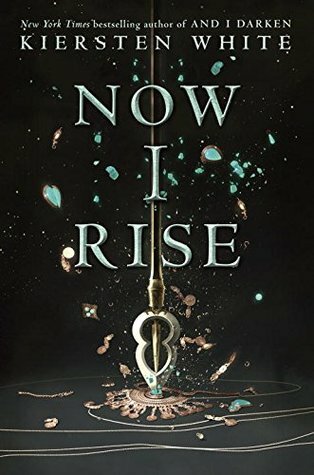 I loved And I Darken as well and I just haven't bought a copy of Now I Rise yet because hardcovers are expensive and I have to really want to spend my money. Hopefully the third book will be much more fulfilling. Great review, Keertana! I read the first book again in anticipation of the release of this book, and I'm glad I did! The character development of Lada and Radu is both beautiful and disconcerting. Can't wait for the next book!